On March 26th, 1987, the world was introduced to one of Nike’s most innovative creations to date: The Air Max. A combination of Frank Rudy’s technical concept and Tinker Hatfield’s visionary approach to design, this meeting of minds would go on to revolutionise the idea of comfort within running shoes. 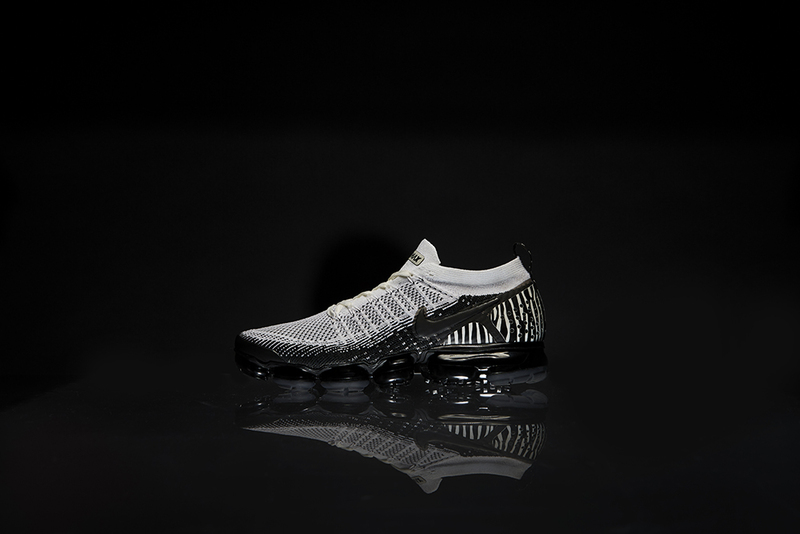 Thirty years on – on Nike’s Air Max Day 2017, to honour the game-changing midsole that propelled the footwear design forward and place benchmark in how far the technology has come since it’s birth, Nike released another revolutionary into the world: the Nike Air VaporMax. 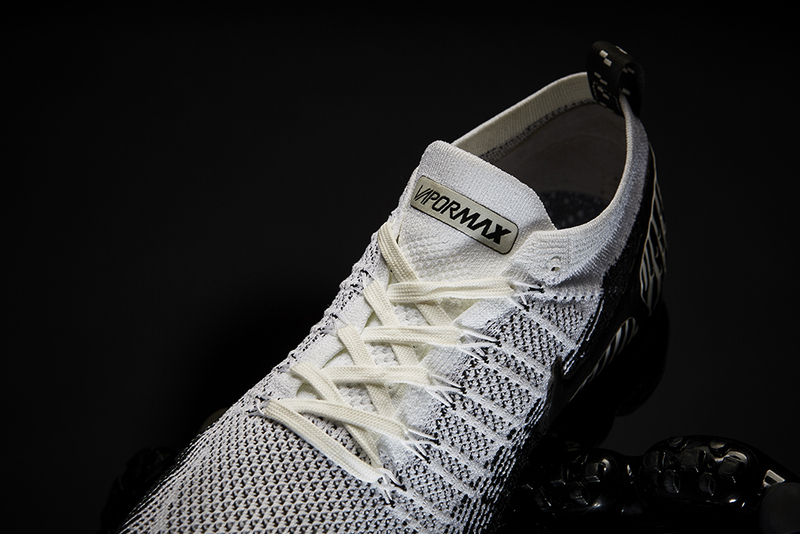 Distancing from its predecessors, the Air VaporMax was formed with the idea of using less air, more efficiently. With the aid of pressure maps on the foot, Nike designers identified the precise amount of Air needed to support a runner’s step. 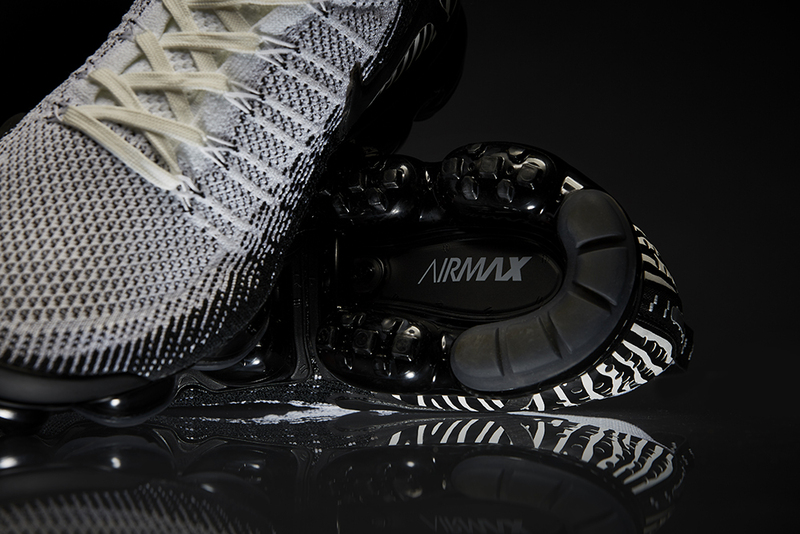 Building on that technology, the team formed a tread patterned outsole which performed like small pistons; with each of its lugs being pushed into the Air unit and releasing at step-off for that energy-responsive, springy bounce. This season, Nike’s revolutionary running revolutionary evolves once again, getting a safari-inspired update. 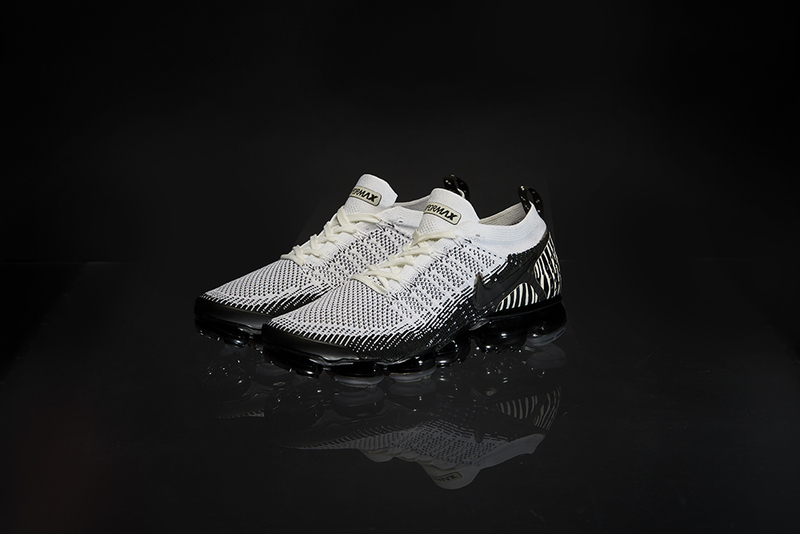 Arriving in a monochrome Zebra print pattern, this iteration of the VaporMax retains all key features of the ground-breaking original. 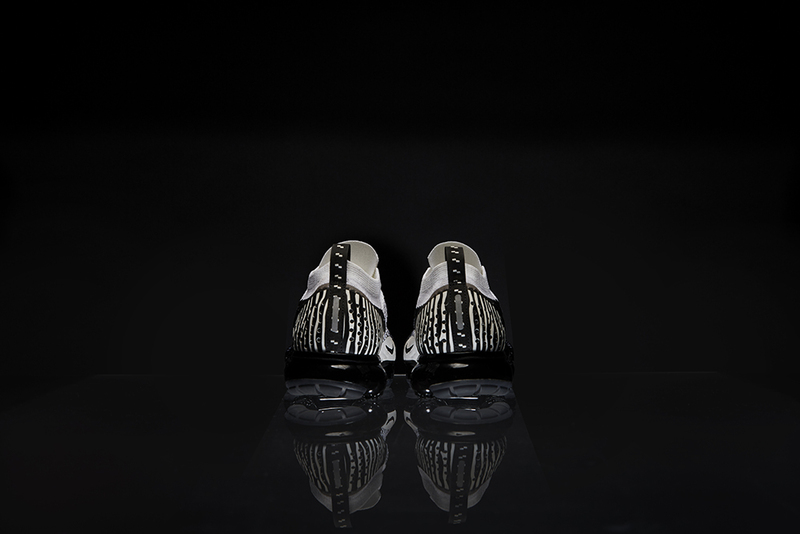 The Flyknit upper gets decorated in an all over zebra print, with wavy black and white stripes narrow but numerous. Whilst underfoot, the lightweight trainer plays host to a blacked-out instantly recognisable Air bubble midsole ensuring wonderfully buoyant feel with every step you take. Keep an eye out for the Air VaporMax Animal Pack ‘Zebra’ arriving via the size? Previews App and in size? stores soon priced at £170.